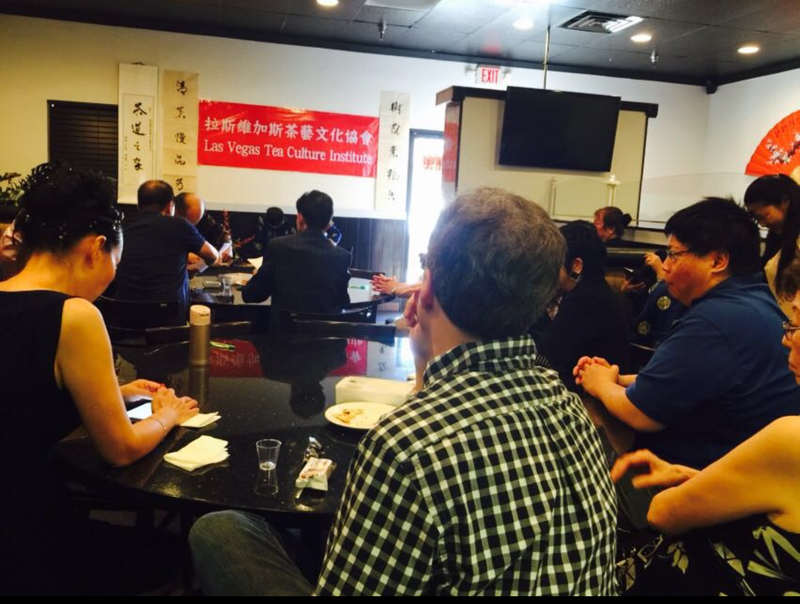 Invited tea enthusiasts gathered at Chinatown restaurant Niu Gu on Sunday May 15, 2016 to promote healthy life styles, benefits of tea drinking, tea cultures thru learning the presentation of Chinese Tea Ceremony (art of tea brewing), Wu-Wo Tea Ceremony (group-based artistic tea brewing, serving, savoring) to participate in the Tea Ceremony performances invited and sponsored by Las Vegas Tea Culture Institute. The newly opened Niu Gu is already a foodie and tea lover destination. The sleek space is spotless and very tea-centric boasting a 40+ page tea menu featuring over 35 teas very carefully selected teas. These teas are sourced direct from the farmer and are the best from China coming from the best geographical locations. 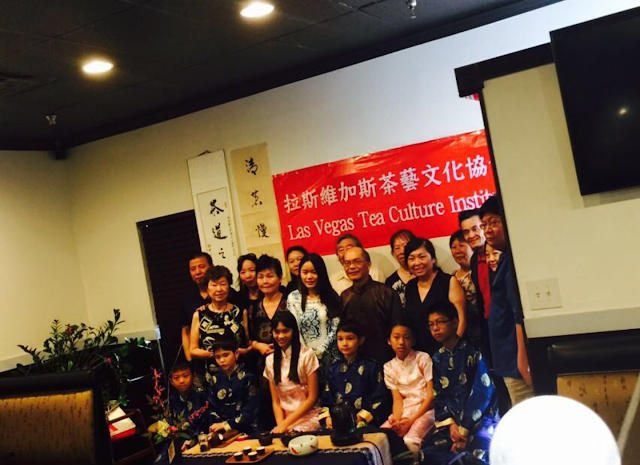 The spectacular cuisine is under the direction of Chef Jimmy Li. 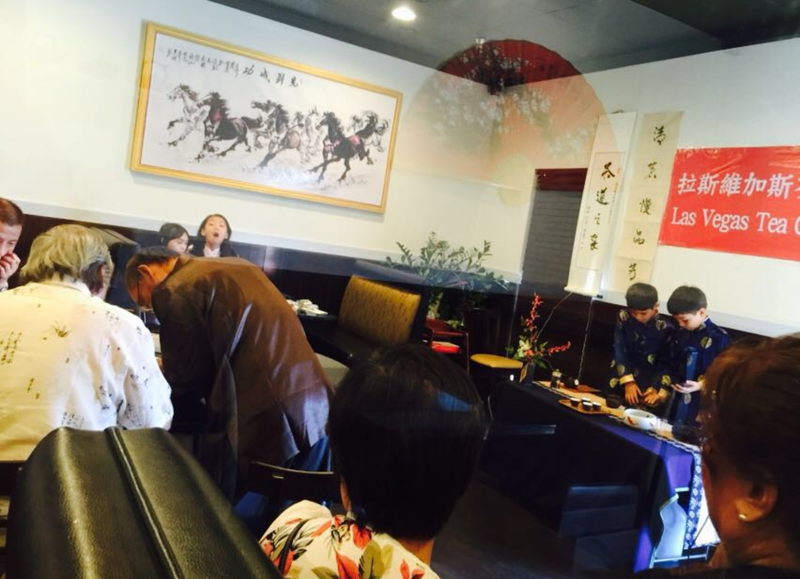 Chef Li has been winning some very loyal foodie fans, impressing the best food critics, and restaurant reviewers. The diners at Niu Gu are mostly Chinese born with a mix of foodies, celebrities and restaurant professionals that come for Chef Jimmy Li’s brilliant cuisine and the restaurants amazing tea program, considered one of the top in the nation.